PTFE, together with the other fluorinated plastics, forms a specific group within the high performance plastics. This group offers excellent chemical resistance and a low friction coefficient over a wide temperature range. PTFE is resistant to almost all chemicals, is flame-retardant and highly sterilisable, and has excellent UV resistance and striking anti-life properties. The intrinsic material purity makes PTFE suitable for direct contact with food. The wear and tear resistance can be greatly improved by adding additives such as bronze, graphite or glass fibres. 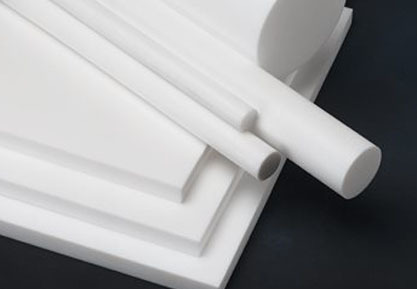 PTFE has an excellent chemical resistance and low friction coefficient over a wide temperature range. PTFE is virtually resistant to all chemicals, is flame-retardant and highly sterilisable, has excellent UV resistance and striking anti-life properties. 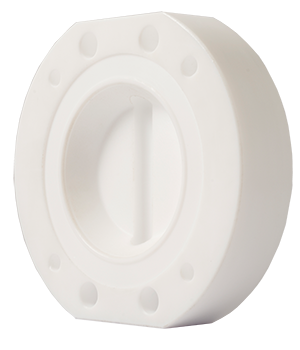 Contact us for more details about our PTFE range.